My boyfriend’s parents and grandmother had recently come to visit us in Luzern. For the eighty-something year old grandmother was this trip a special occasion: it was the very first time ever she travelled by plane and the first time she visited Switzerland. We wanted to make her stay even more memorable, so we decided to show her the best of Switzerland: the Swiss Alps. Grandma is in a good shape for her age, but climbing up the mountain by foot would be impossible task. Luckily, the Swiss had built a extensive network of gondolas and mountain railways and made some of their most scenic mountains accessible to those who are not fit enough to hike them on their own. 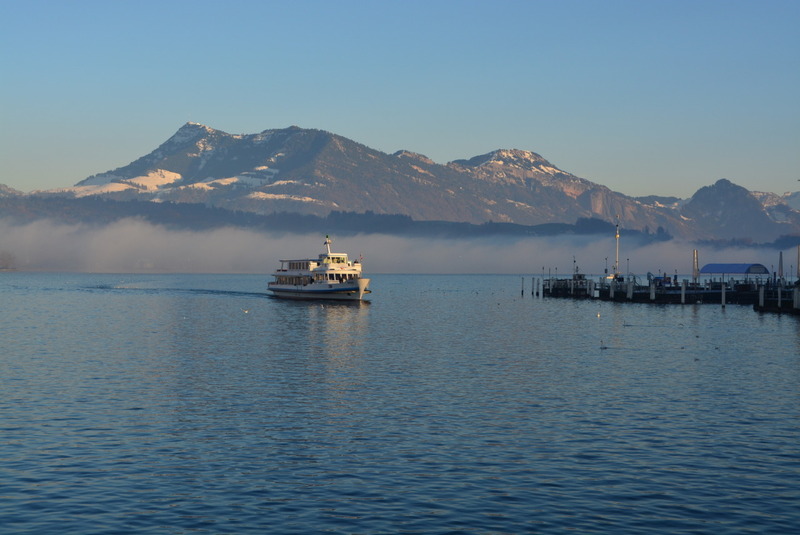 One of such mountains is Mt Rigi, a 1798 m high summit in the Central Switzerland. With its gorgeous panoramic views, more than 120 km of marked hiking trails, lovely nature and easy accessibility via public transport is beloved tourist destination in all seasons. 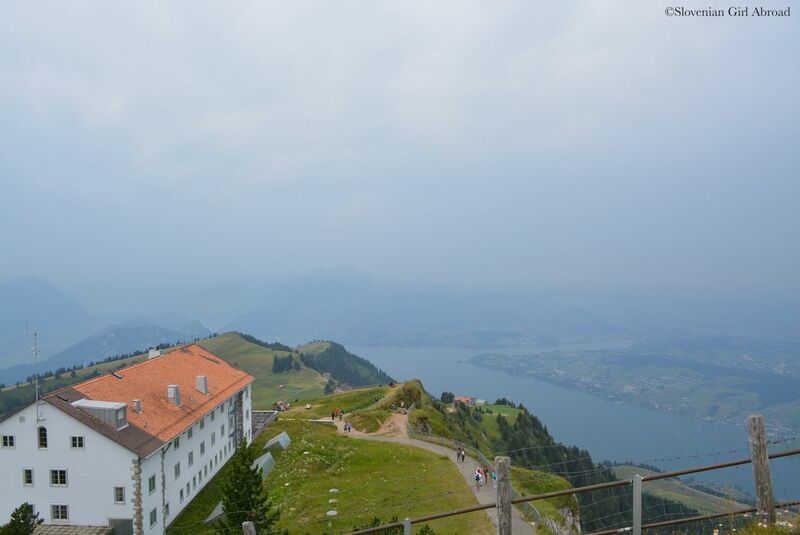 My boyfriend and I have already been to the Rigi before and we were aware it is a beautiful place with stunning views. We were familiar with the infrastructure. We knew it is accessible for elderly people, and would therefore be ideal trip for grandmother. There are many options how to get to Rigi. We’ve opted for the combined round trip option offered by Swiss Railways (SBB). Our journey started in Luzern where we’ve boarded a historic paddle steamer Uri. 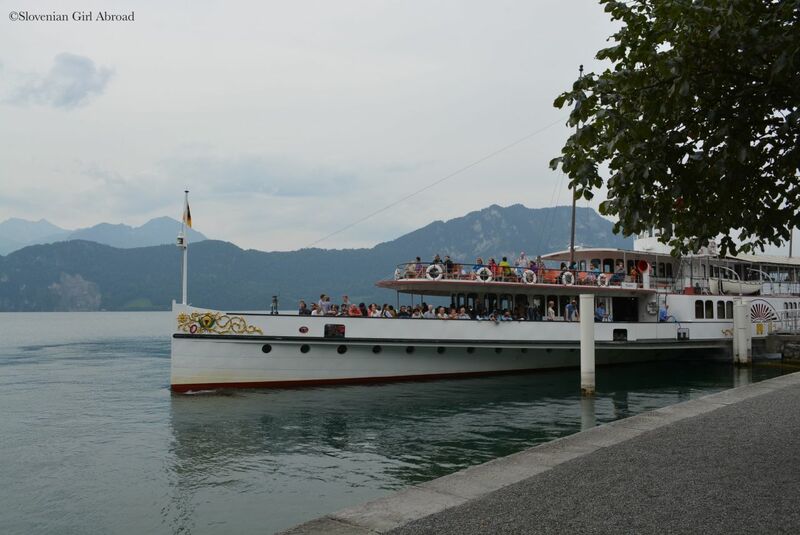 Built back in 1901 is the oldest of the Lake Lucerne’s fleet. The ride with a ship so old but so well preserved was great experience for all of us. 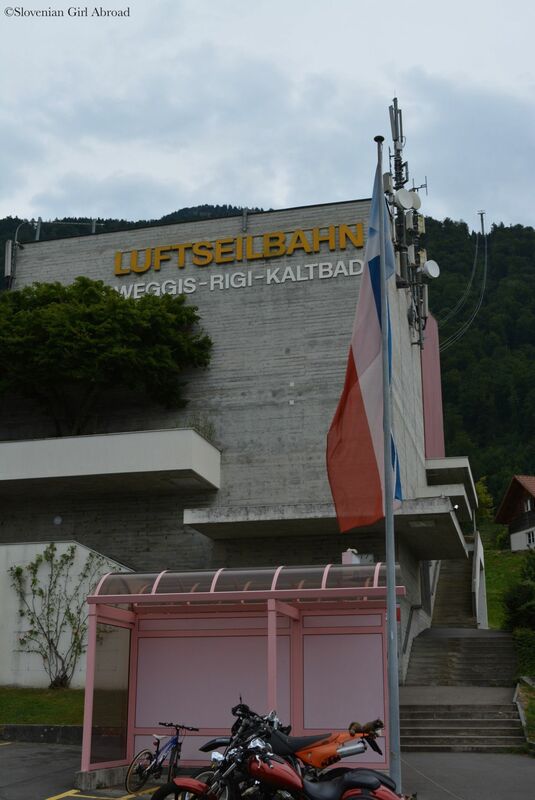 After approximately 40 minutes of scenic boat ride, we disembarked at lovely lakeside town Weggis. From the pier we’ve slowly strolled to the station of aerial cableway – another mean of transport grandmother has never travelled with. When we’ve boarded, the seats were already taken, but some kind German lady let grandmother a seat by the window. Thanks to her, grandma was able to experience her first cable car ride sitting and enjoying the views. 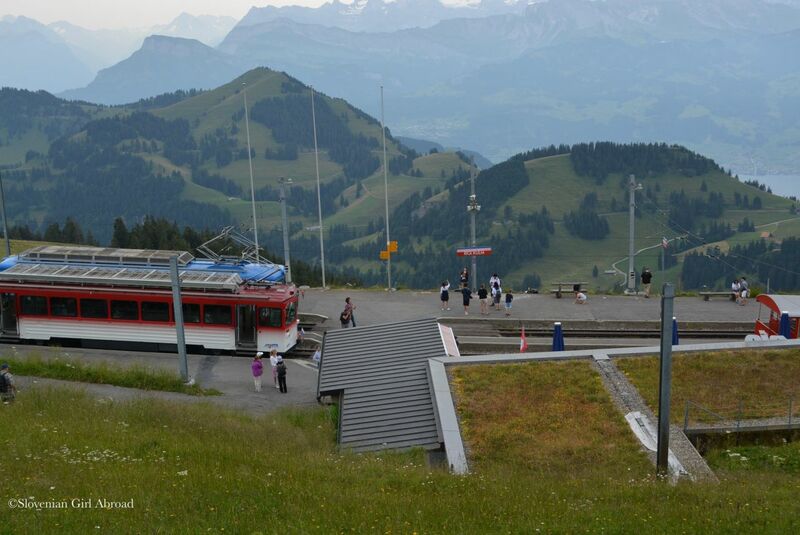 The aerial cableway took us to mid-station Rigi Kaltbad at 1453 m above sea level. We strolled a bit around the area, then we’ve found our spot at one of the restaurants. After a cup of coffee, we’ve boarded the Europe’s oldest mountain railways – the Rigi Railways. The train took us past the hiking trails, woods and pastures to the top of Mt. Rigi, to Rigi Kulm. Unfortunately, the day wasn’t the best for visiting mountains. The views weren’t picture-postcard perfect, but it was still clear enough for us to enjoy the panoramic views. 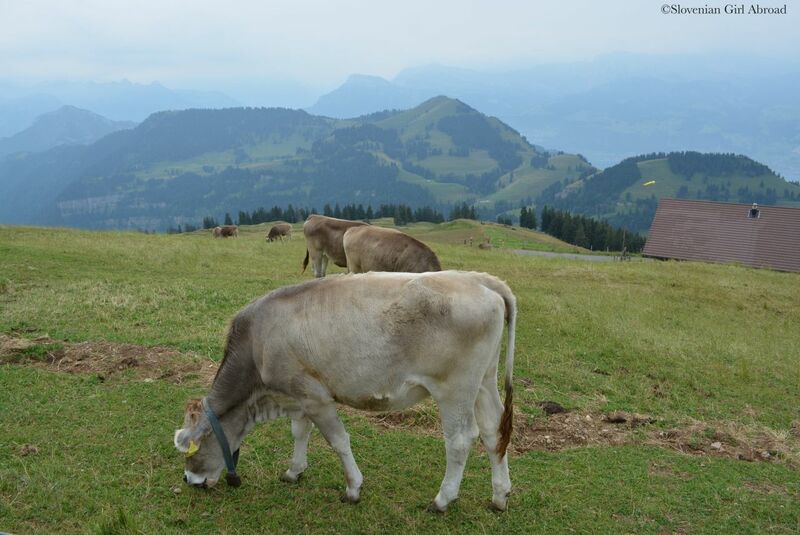 We slowly strolled to the highest point of Rigi, passing alpine pastures where Swiss cows were grazing green grass. 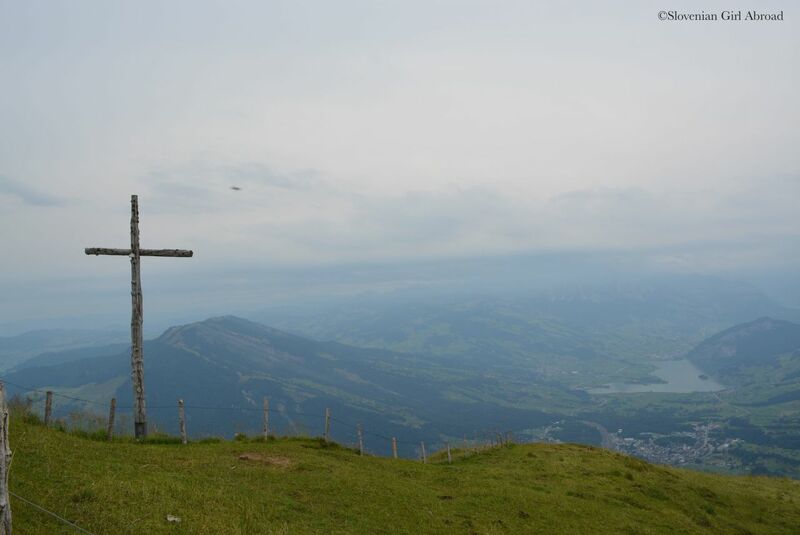 Accompanied by the sounds of their bells grandma reached the top of Rigi. She said, an experience she would never forget. After we took a countless number of pictures documenting grandmother’s adventure in the Swiss mountains it was time for lunch. 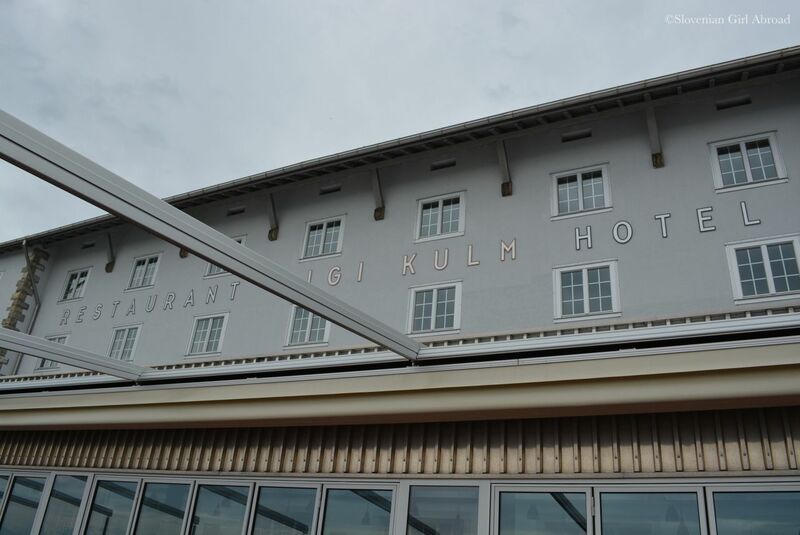 We went to the restaurant of Rigi Kulm hotel and cashed our 10 CHF vouchers, we’ve received as a part of our SBB package. All food was delicious, but my favourite was definitely the desert – apple strudel with vanilla cream. Our bellies were full, but grandmother’s feet started to hurt, so it was time to leave. We’ve boarded the mountain train bound for Aarth-Goldau. Descending to the valley in other direction than we’ve ascended gave us opportunity to see the Rigi from all sides. But, because this path mainly runs through forrest and isn’t facing the lake, doesn’t have the wow factor the path from Weggis and Vitznau has. Nonetheless, we’ve still enjoyed the ride. At Aarth Goldau we’ve exchanged our mountain train for the regular train. Short ride after we were back in Luzern. Grandmother was tired, but happy to explore Swiss Alps in the company of the people she love. 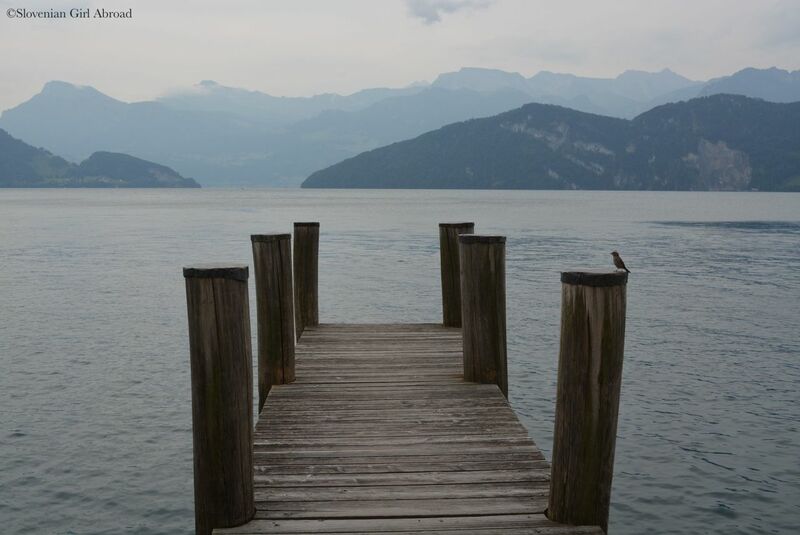 After she returned back home, she told everyone trip to Rigi was the highlight of her holidays in Switzerland. love a good mountain railway! and the Swiss do them so well!